Usage Cosmetic Packaging, Pharmaceutical Industry etc. We are engaged in providing a wide range of Hair Removal Laminated packaging Tubes. Our provided range is made employing the top quality material and advanced techniques. This range is extremely well liked in the market owing to their top quality and sturdy nature. In addition, we present this series to our client at reasonable prices. Since 2010, Vp Associates been recognized as a coveted manufacturer and supplier of a wide spectrum of Plastic Packaging Tubes. These tubes are manufactured using optimum quality plastic, aluminum and other material that are sourced from authentic vendors. 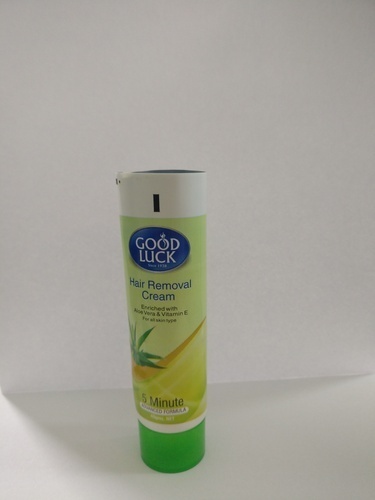 Our remarkable range consists of Laminate Tubes, Shaving Cream Tubes, Cosmetic, Toothpaste, Collapsible Tubes, Ointment Tubes and Antiseptic Cream Tubes. The products we offer are developed in accordance with industry norms and standards and are available in various colors, shapes and sizes. These tubes are extensively used in various industries such as cosmetics, pharmaceuticals and food products industry for packaging purposes. We have developed a sophisticated and contemporary infrastructure facility that aids us in proper execution of all the activities of our business function. This facility is equipped with all the necessary technologies and machines that are required for manufacturing our products. A deft team of professionals is recruited by us to efficiently manage the trade activity. The dedication of our employees and latest manufacturing facilities has enabled us to meet the bulk orders of the patrons within the scheduled time-period.